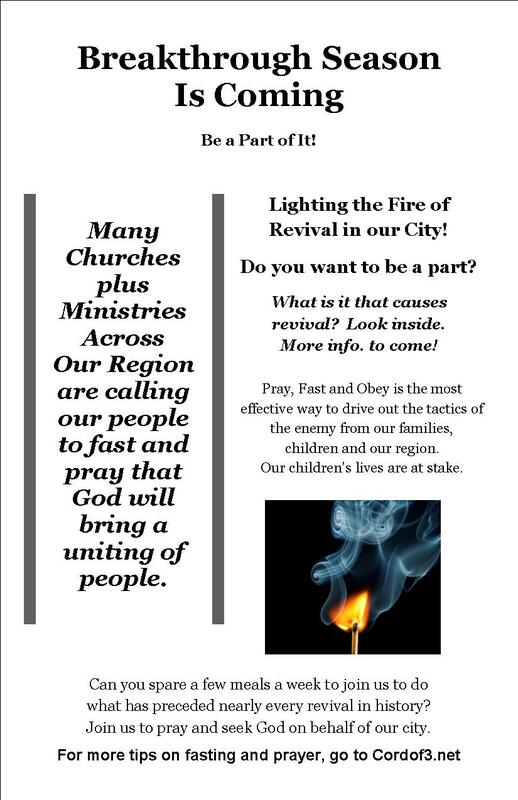 Many Churches and Ministries are uniting for 40 weeks of weekly prayer and fasting for breakthrough! 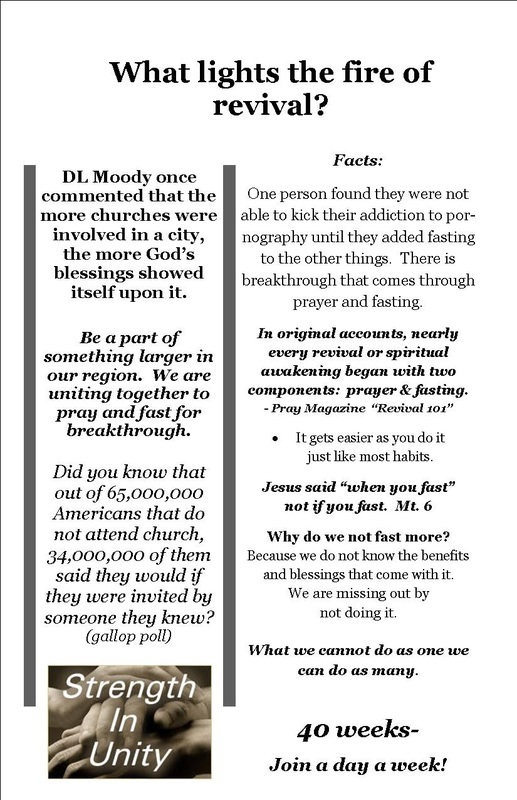 Here are examples of bulletin inserts/sheets used by churches and people. If you would like pdf's or more inserts to look at, just email cordof3@bektel.com. However you choose to be involved, we all can do it. It is worth the time and effort to see God's grace increased in our lives and for those who desperately need Him. And more. Other towns and states that have had churches involved include: Grand Forks, Minot, Fargo, Jamestown, Glen Ullin, Underwood, Regan, Mott, Linton, Faith, Fleece, Elgin, Cando, Lisbon, Dazey, Belcourt, and more. Other states include MN, MT, WYO, SD.